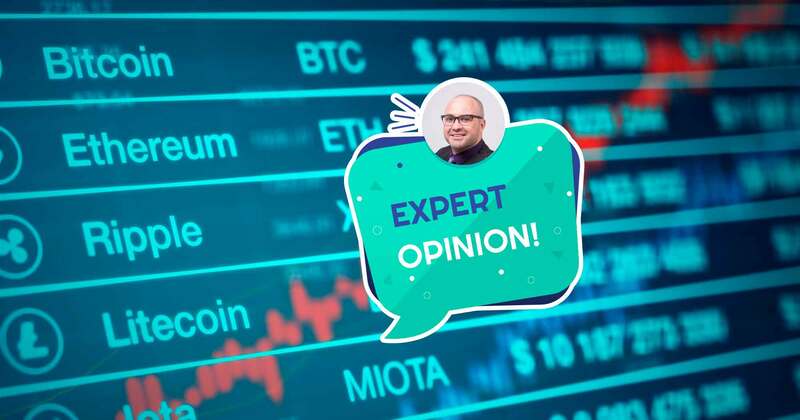 Crypto News - Expert Opinion: Community Debates Whether Crypto Price Manipulation Is Real? Does crypto price manipulation exist in reality? Does price manipulation actually exist in cryptos? A recently conducted poll on Twitter, which was done in a rather unscientific manner, showed that nearly half of the 41-comment received believed that it was price manipulation that bought a recent steep decline in the market. While the poll was being conducted, the markets dipped again and there was an opportunity to analyze the conditions at play as bitcoin experienced a 3% flash crash that lasted about 15 minutes from drop to full recovery. What’s interesting about this graph is the role of the key level of $3,500. As there has been a discussion on the sentiment, Bitcoin has been trading in a tight range between $3,500 and about $4,100. So, when the downside broke, it very likely took out a lot of stop losses, causing a chain reaction of stops and liquidations. What’s exciting about yesterday’s move is that the direction was quickly reversed and, in the aftermath, there was even a mini-rally noticed. This is a very positive sign and could very well indicate that we’re at or nearing bitcoin’s price floor. In short, the word “manipulation” implies intention and there has been no evidence of that. What we see here are the clear effects of a low liquid market. The same conditions that have caused bouts of extreme volatility throughout bitcoin’s short history. So, sorry to disappoint the crowd but my summation remains that this is just normal bitcoin volatility. The action of intervention is often having negative connotations, but sometimes intervention can save lives, as any surgeon will probably tell you. The Bank of International Settlements (BIS) has put out a new research paper that explores the economics of intervention into bitcoin’s blockchain. To be clear, the BIS is the bank of central banks and is the world’s oldest global financial institution, so it is in effect the exact middle-man that bitcoin was designed to disrupt. It currently stands to be the biggest loser should cryptocurrencies gain mass adoption. Or, the biggest beneficiary, should they decide to embrace the new technology. So it’s good to see they’re taking this seriously. The author, Raphael Auer, has previously advocated the healthy regulation of the crypto assets space and is extremely knowledgeable about blockchain. In fact, the new paper describes quite perfectly how a 51% attack might play out and even gives a meticulous formula detailing in the attacker’s incentives. Auer’s analysis also concludes that the economics of bitcoin will be very different once bitcoin reaches its maximum supply of 21 million coins, which is expected to happen in the year 2140 and that if there are no significant changes until then the network will be unsustainable. - New Research Paper from BIS explores the economics of intervention into Bitcoin’s Blockchain - Author of the paper also discusses how a 51% attack might play out - Does crypto price manipulation exist in reality?